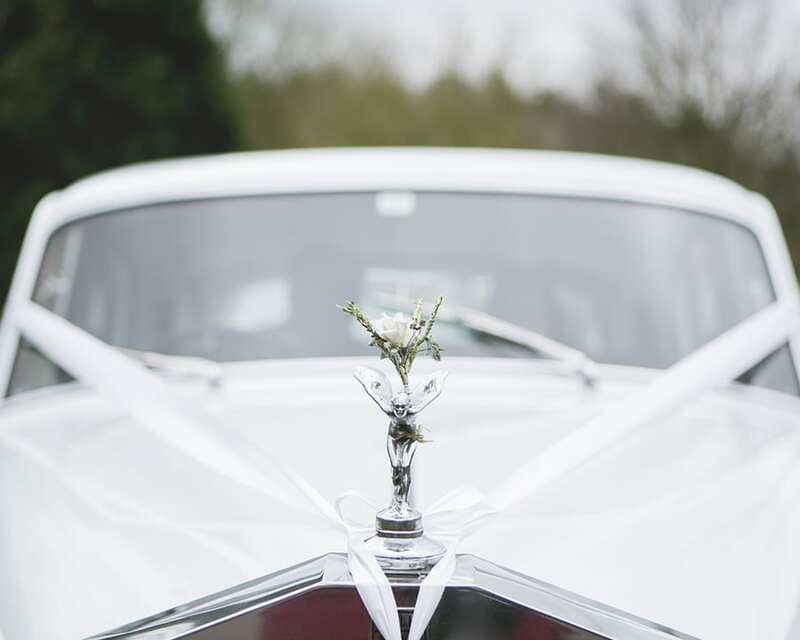 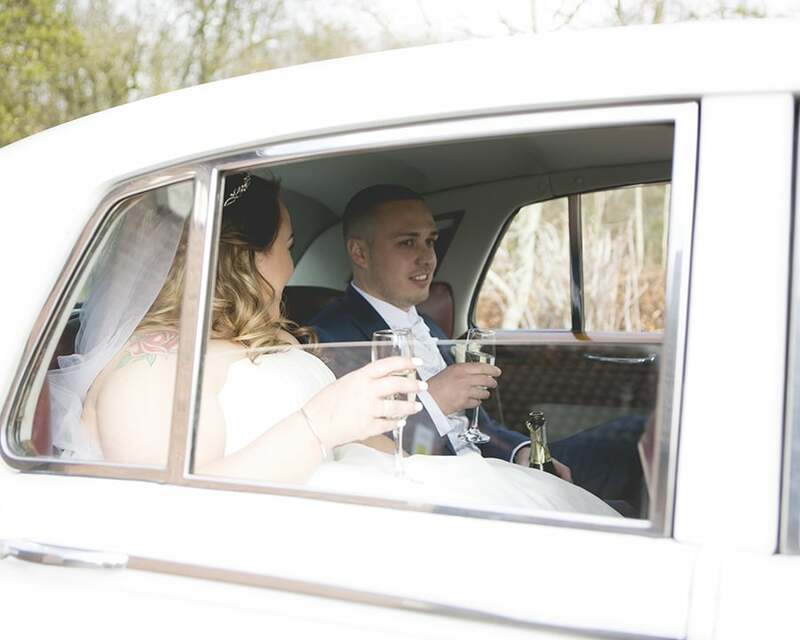 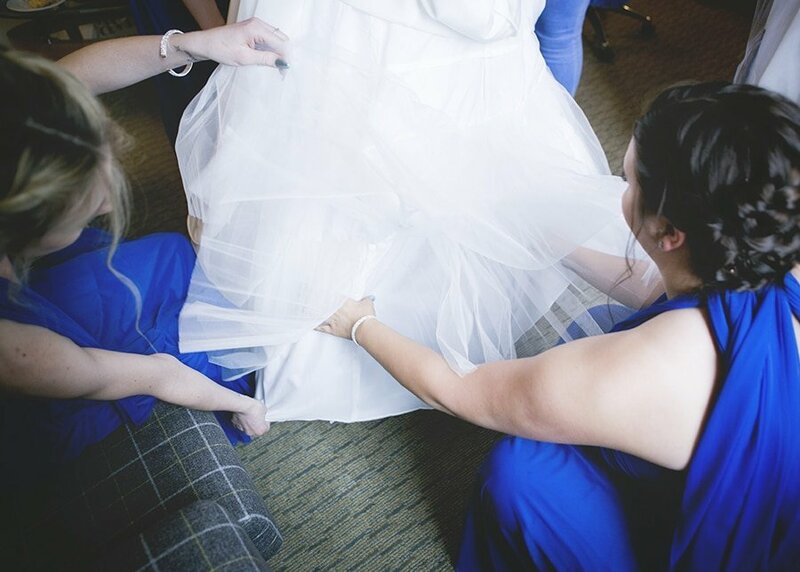 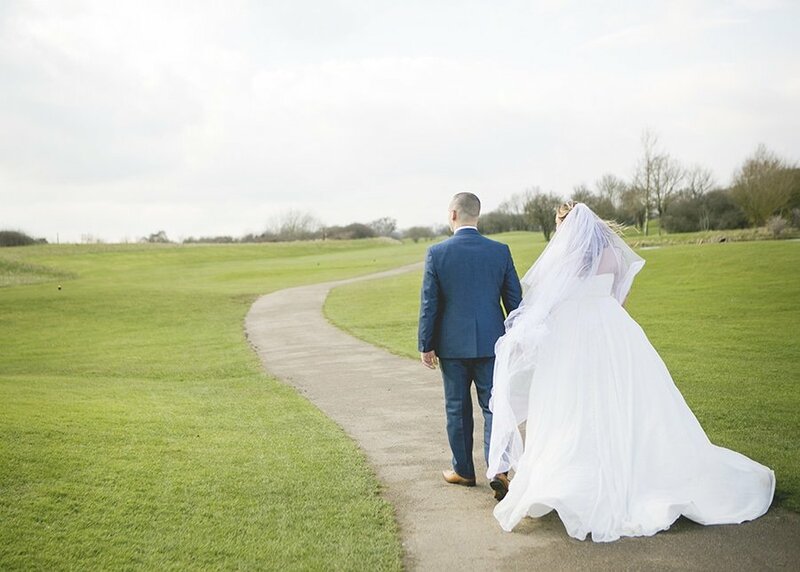 Vicky & Stephen had a beautiful Hertfordshire golf club wedding in March. 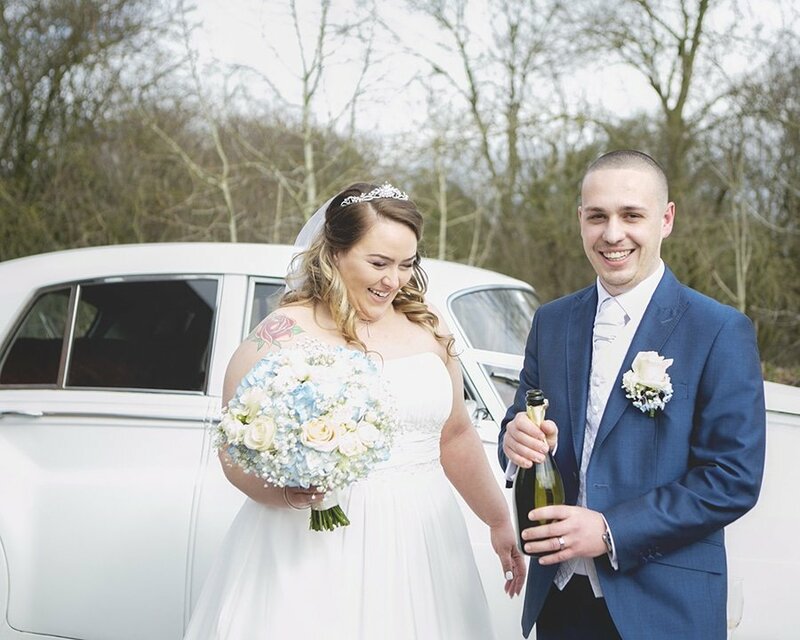 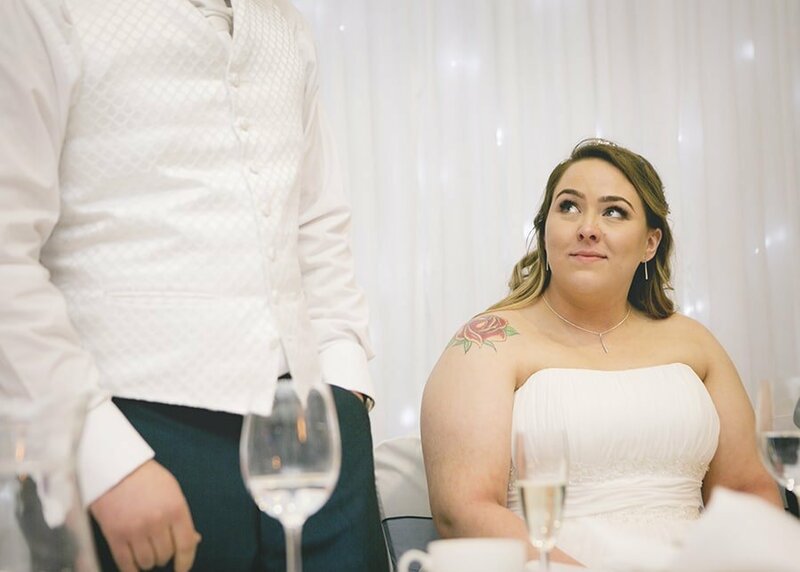 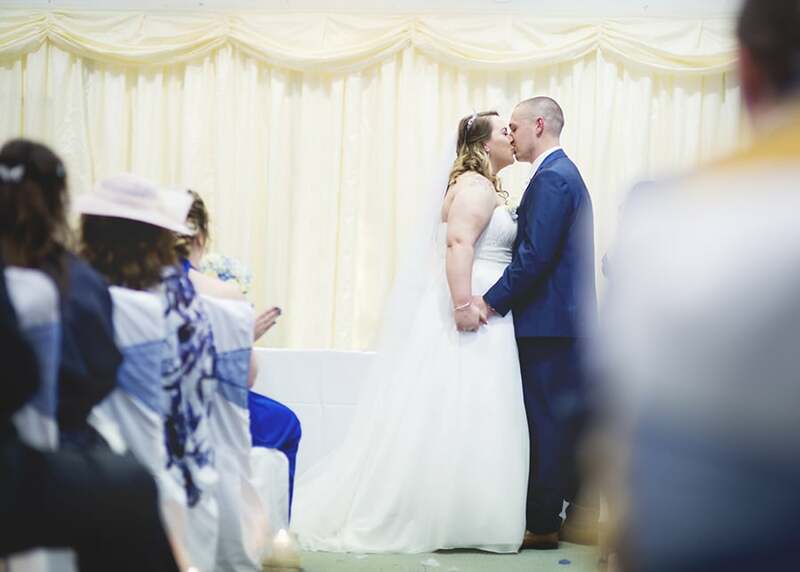 They got married on a Saturday following a week of bad weather but the sun was shining down on them at just the right moment. 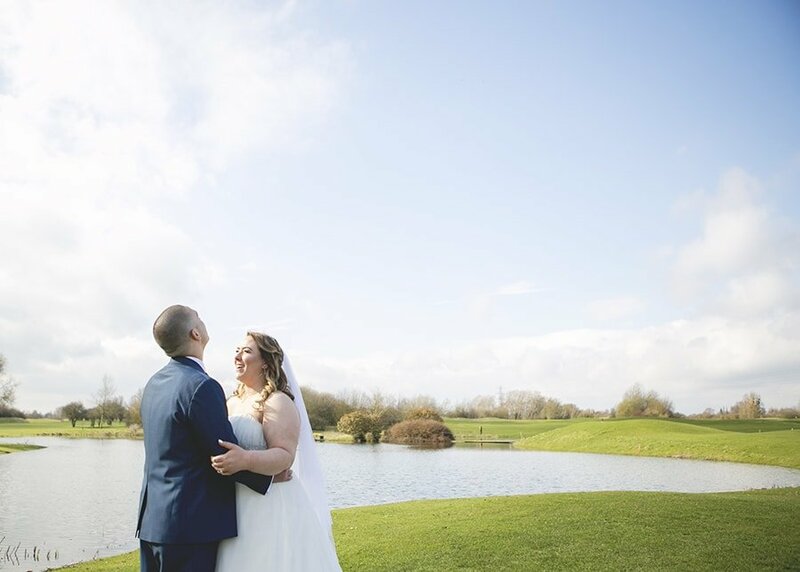 From Vicky’s arrival at the venue to the end of the group photos the sky was blue and the ground stayed dry. 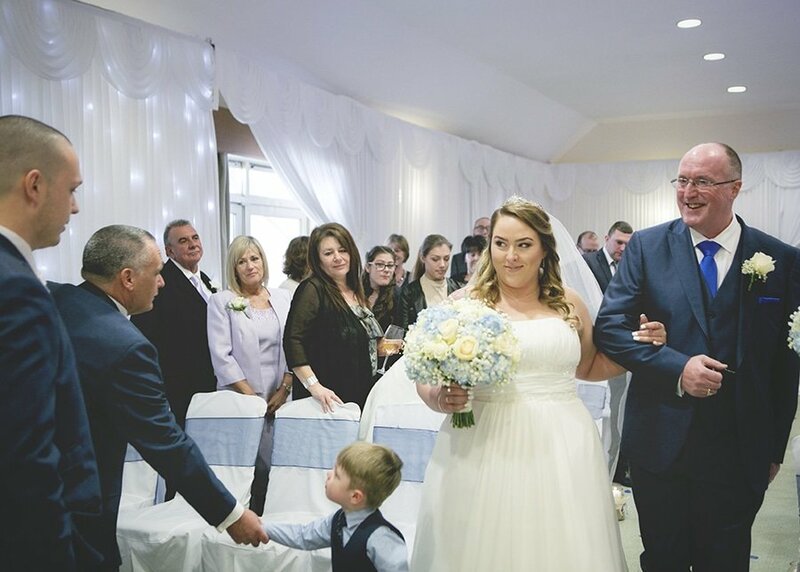 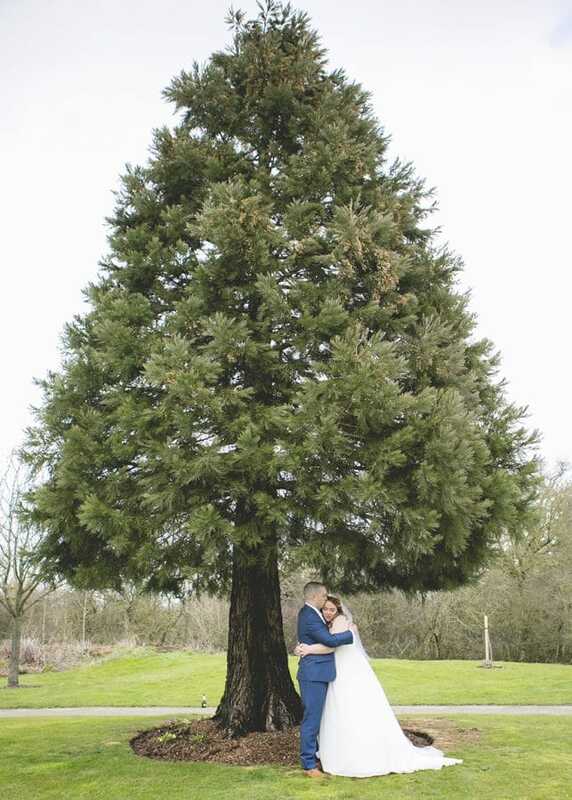 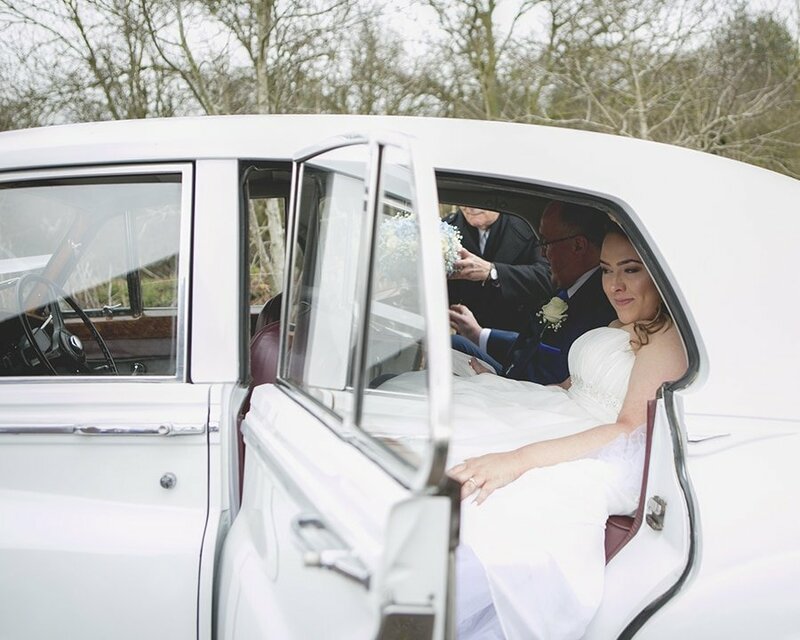 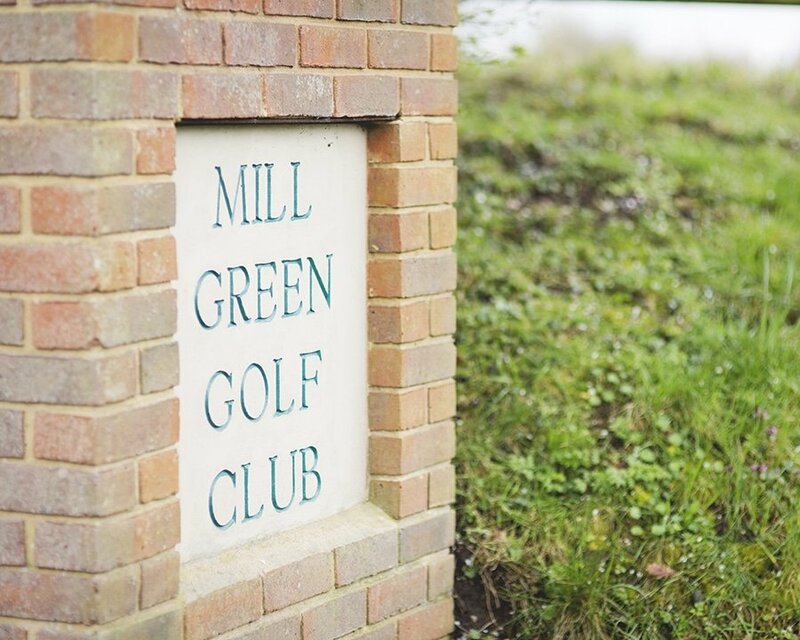 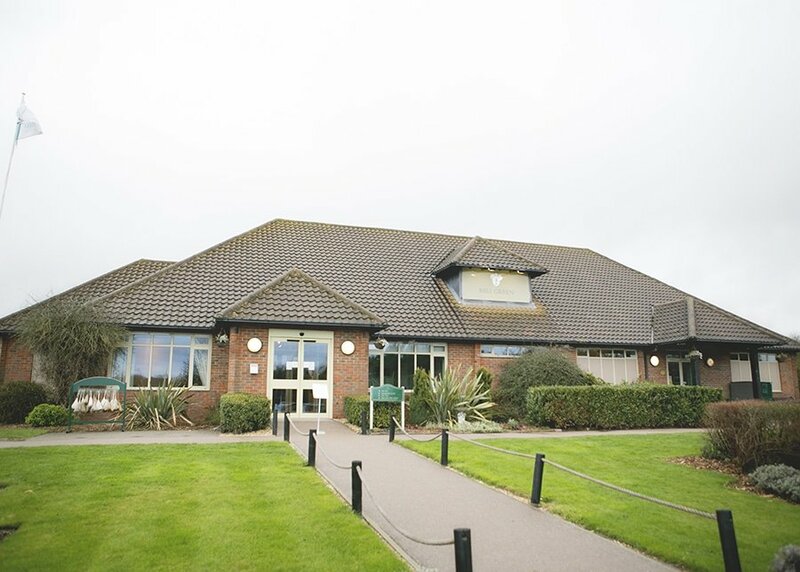 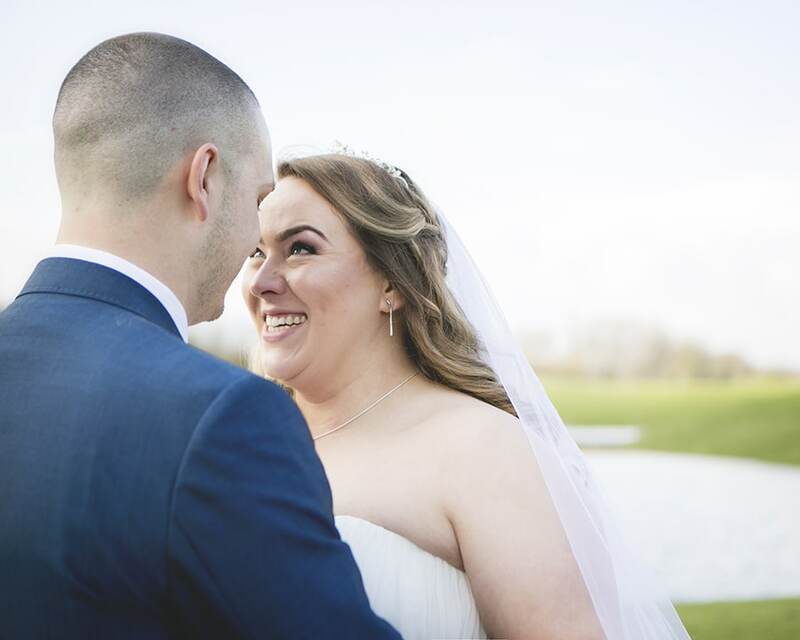 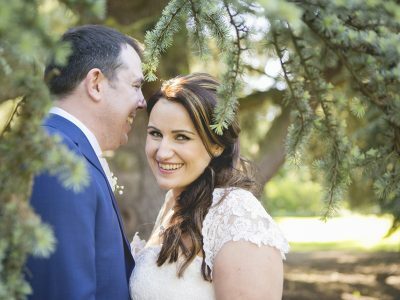 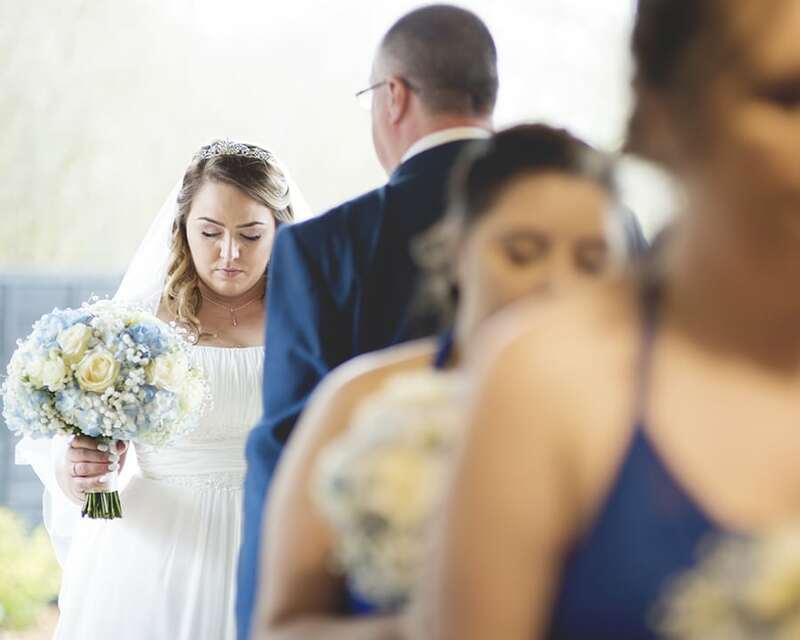 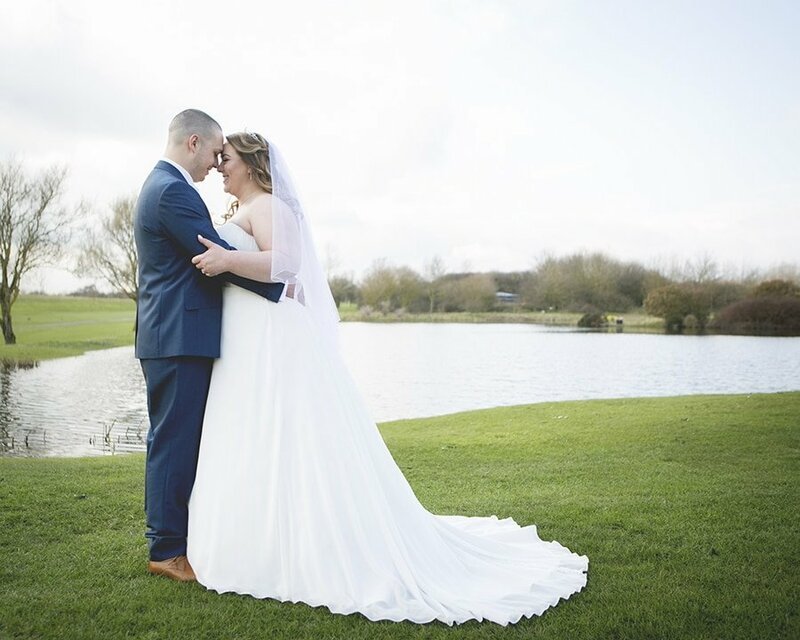 Mill Green golf club was the chosen venue for Vicky & Stephen’s Hertfordshire wedding, a great venue with beautiful grounds, lush grass and a small lake perfectly positioned close to the club house. 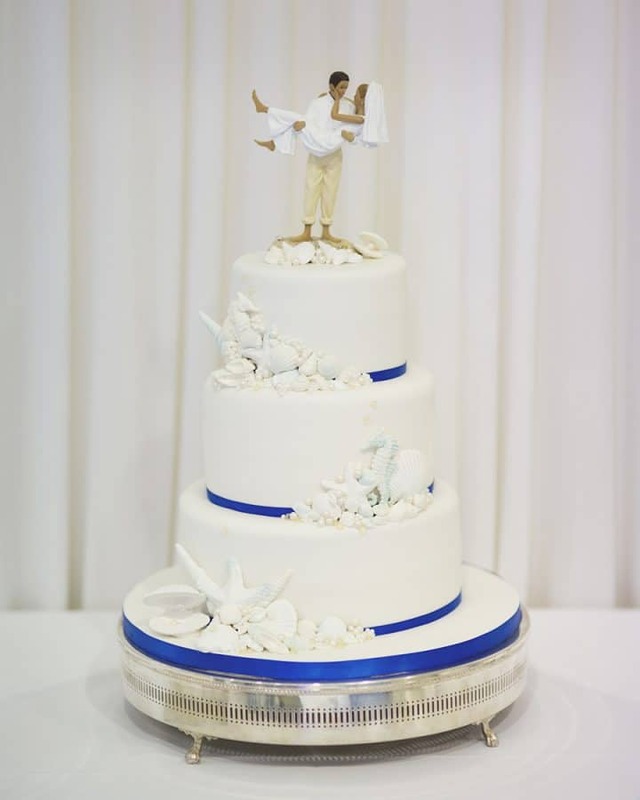 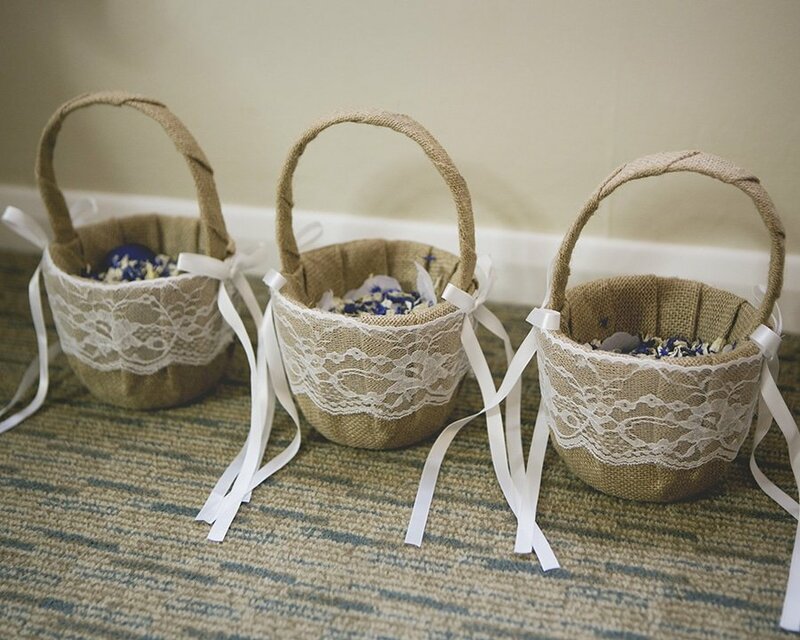 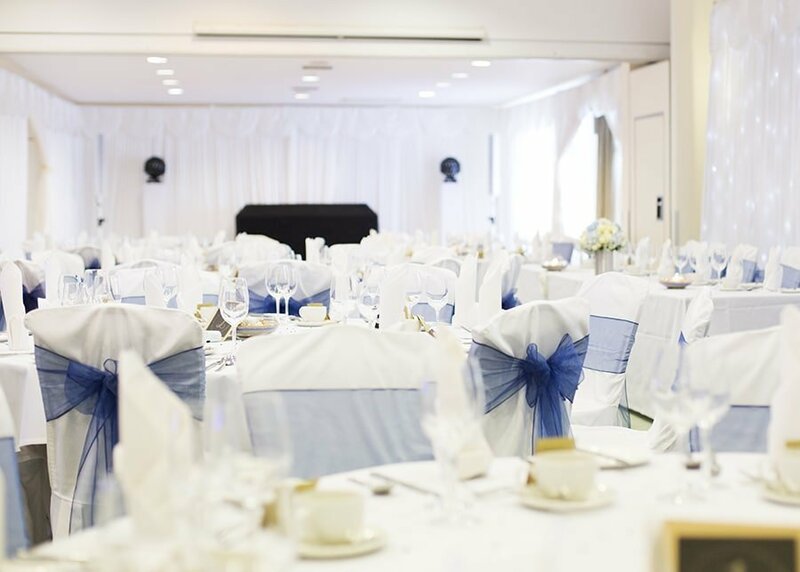 They created a subtle seaside theme for their wedding with sand filled centre pieces and a wedding cake decorated with edible shells, which worked beautifully with the royal blue bridesmaid dresses and the groomsmen’s suits. 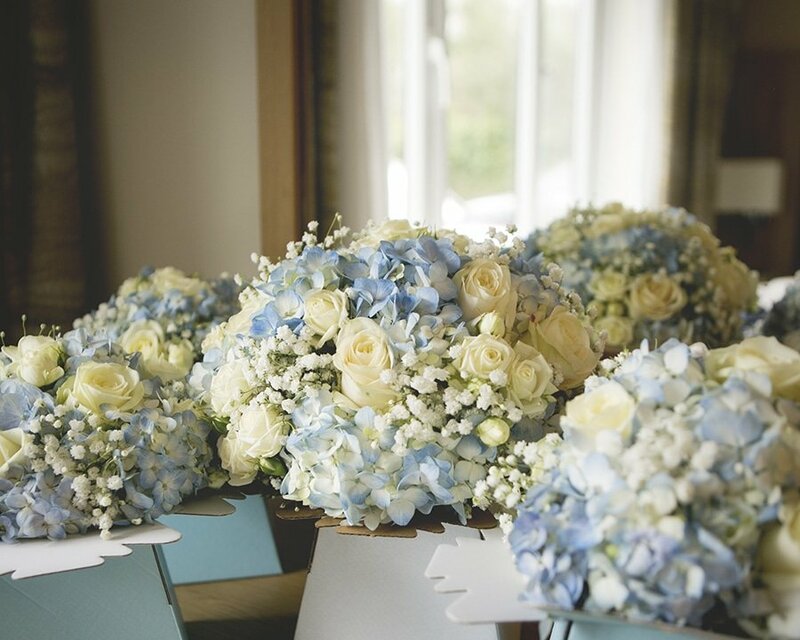 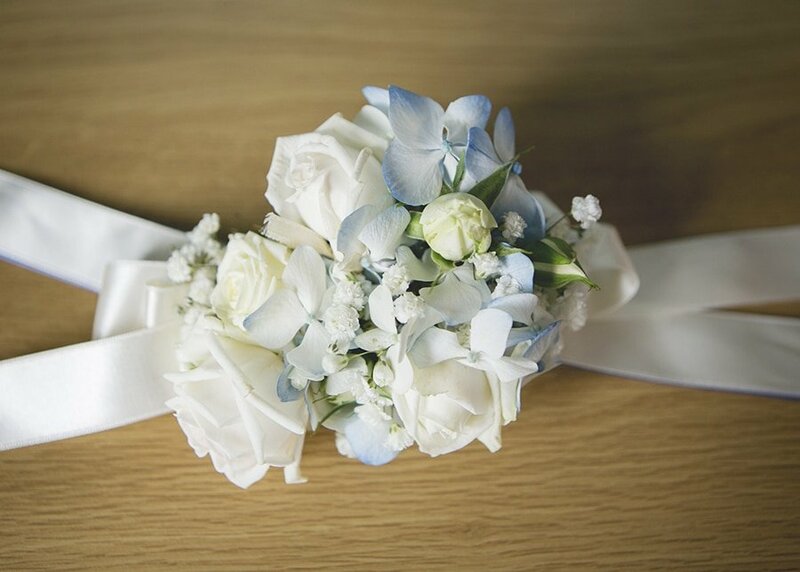 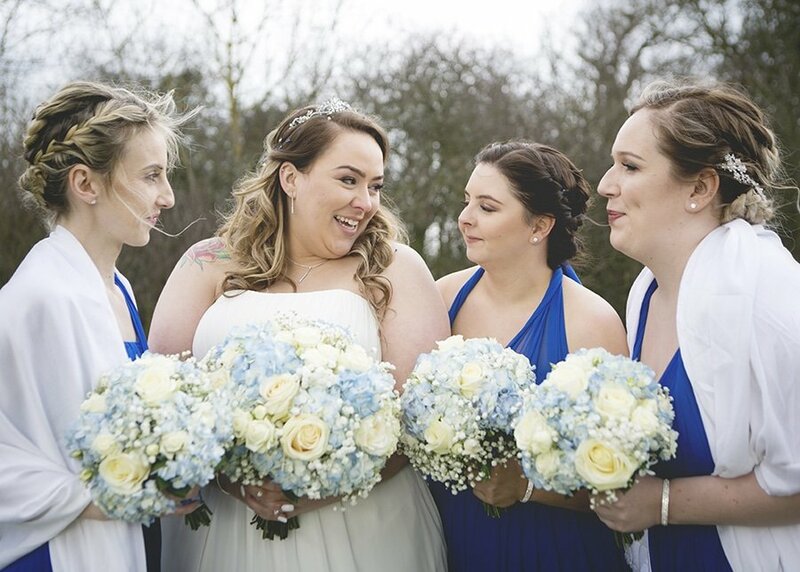 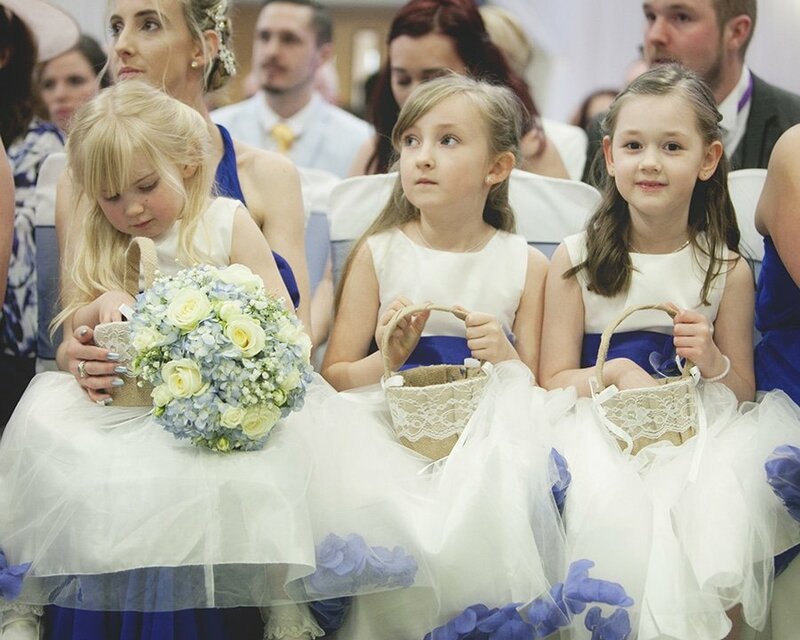 Vicky’s bouquet also had hints of blue in among the white flowers which look beautiful next to the stronger blue tones within the wedding. 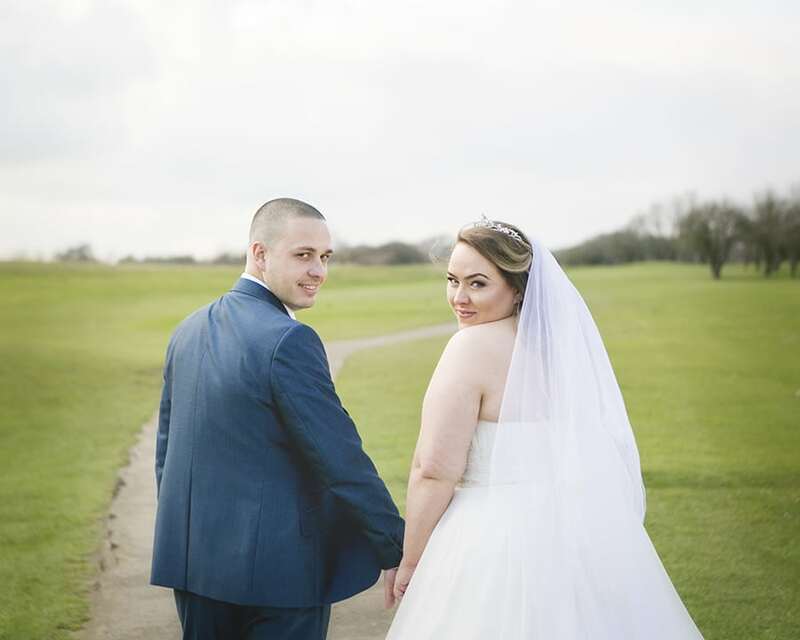 Vicky & Stephen new they wanted a second photographer from the beginning as it was important to them to capture the morning of their wedding from both sides. 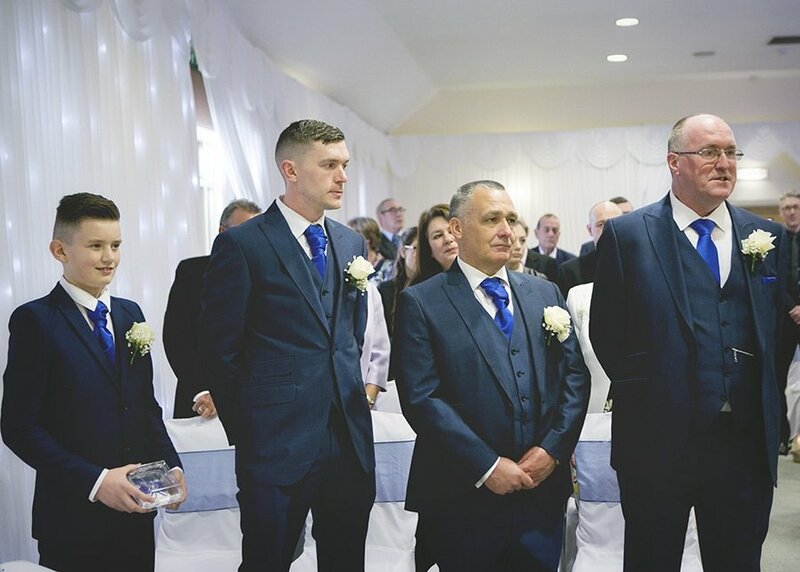 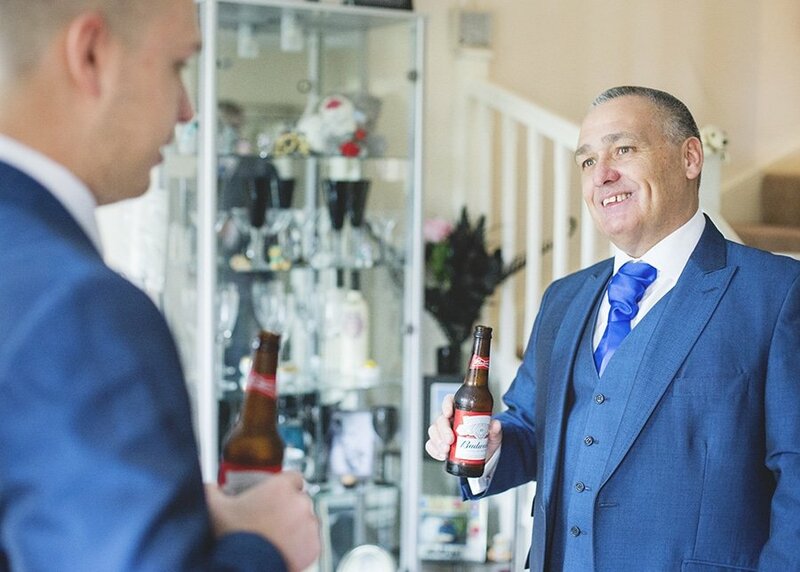 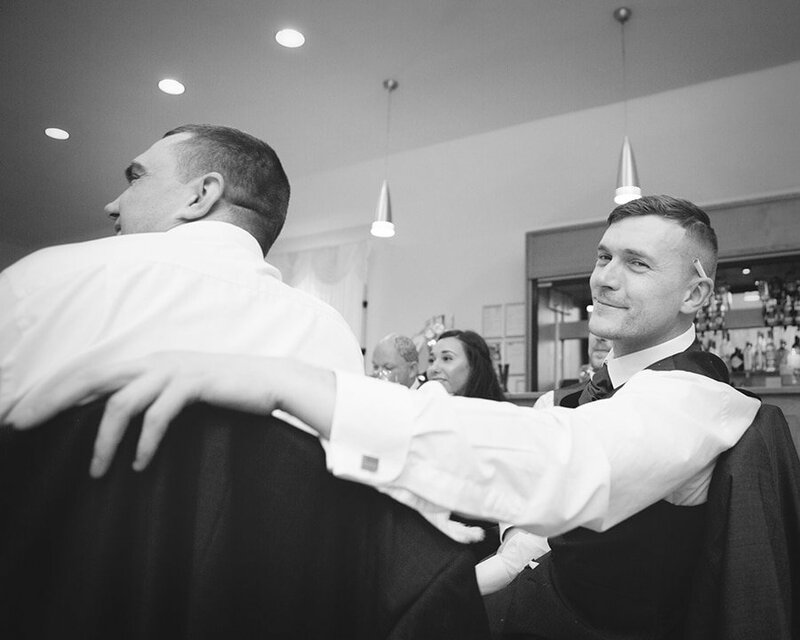 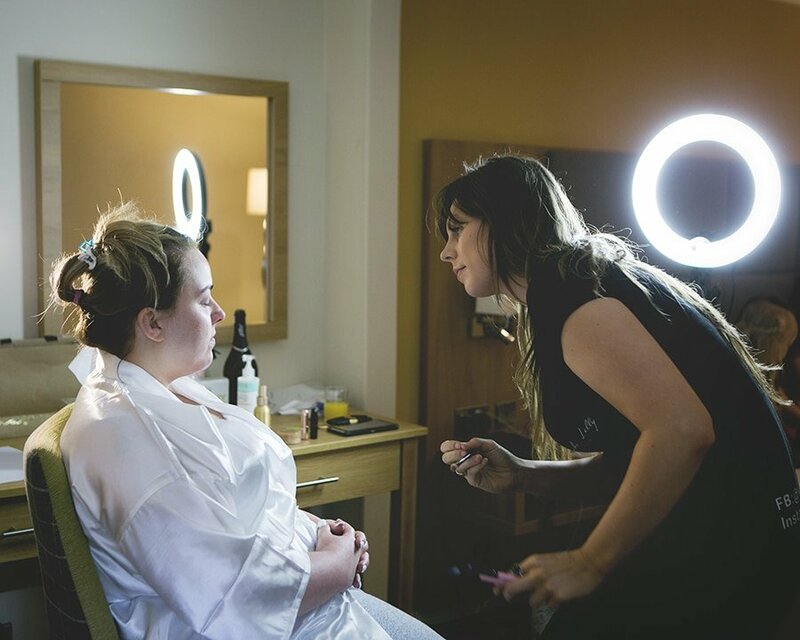 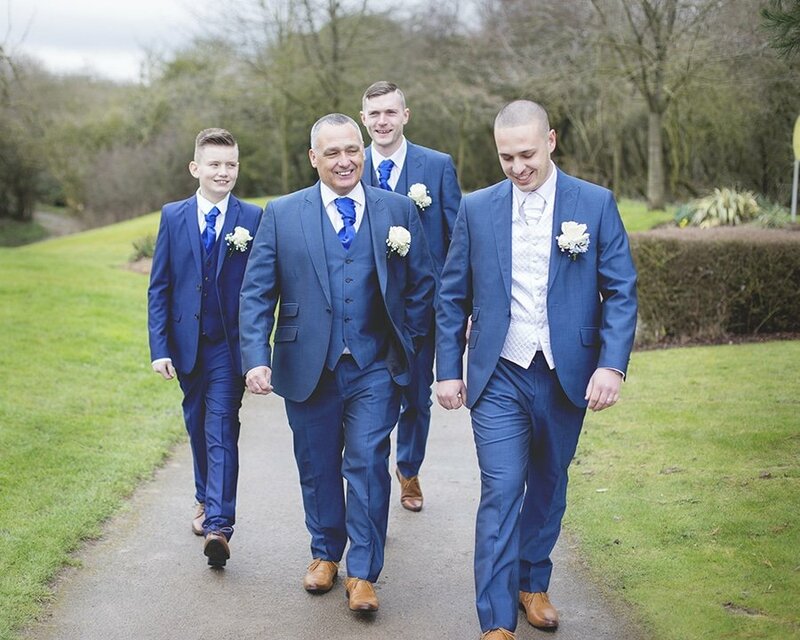 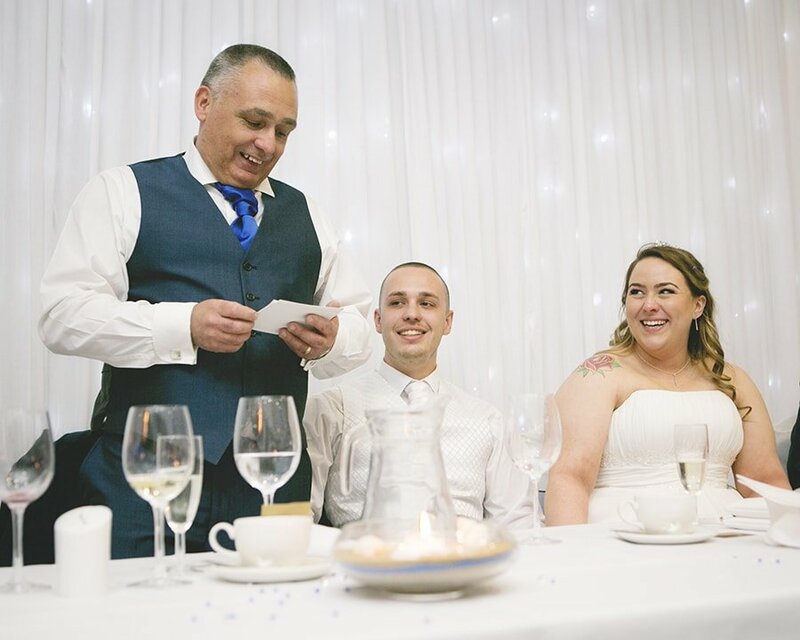 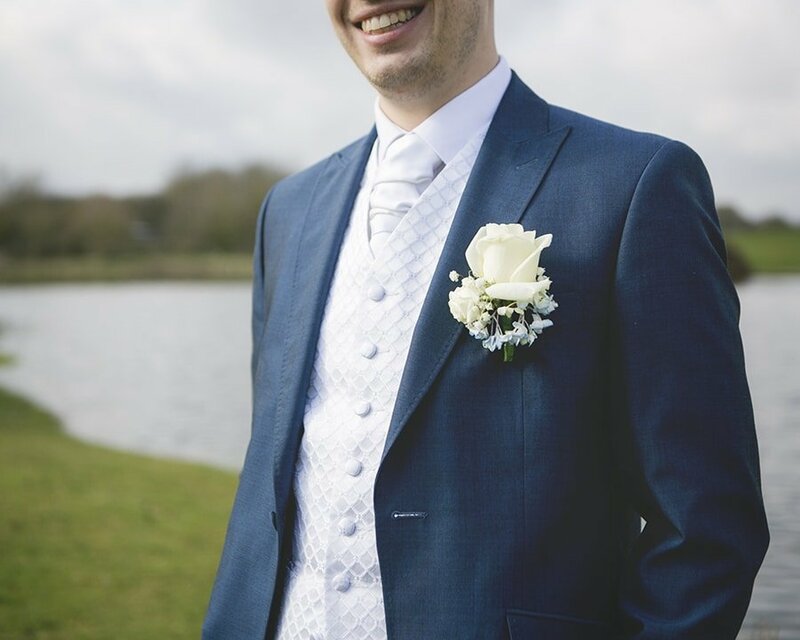 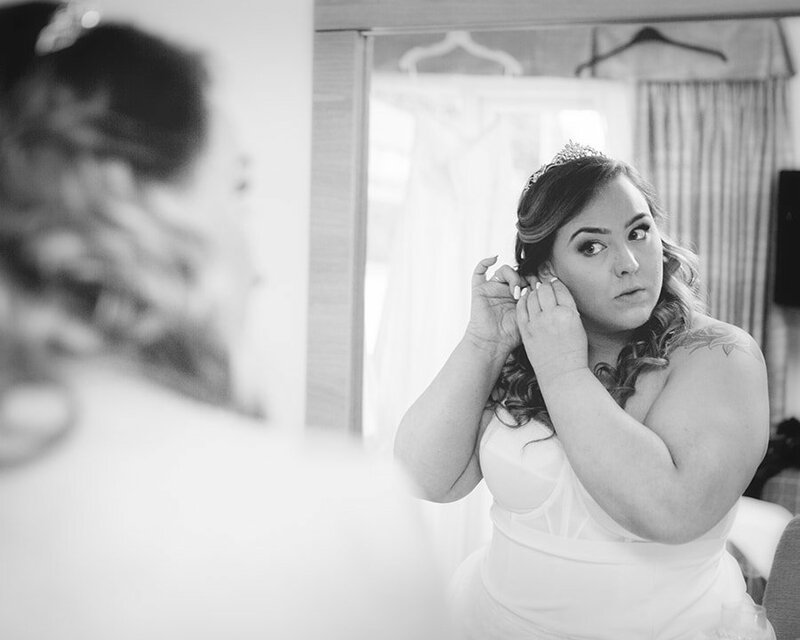 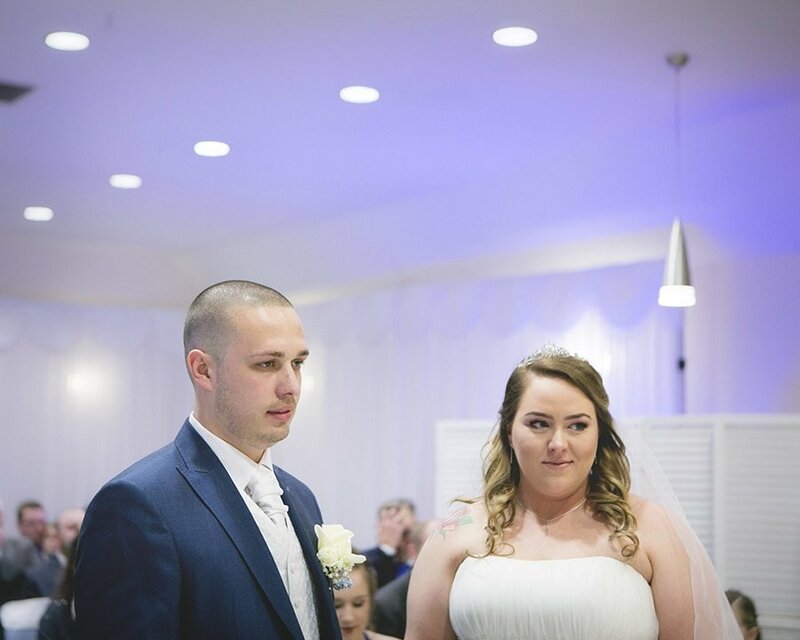 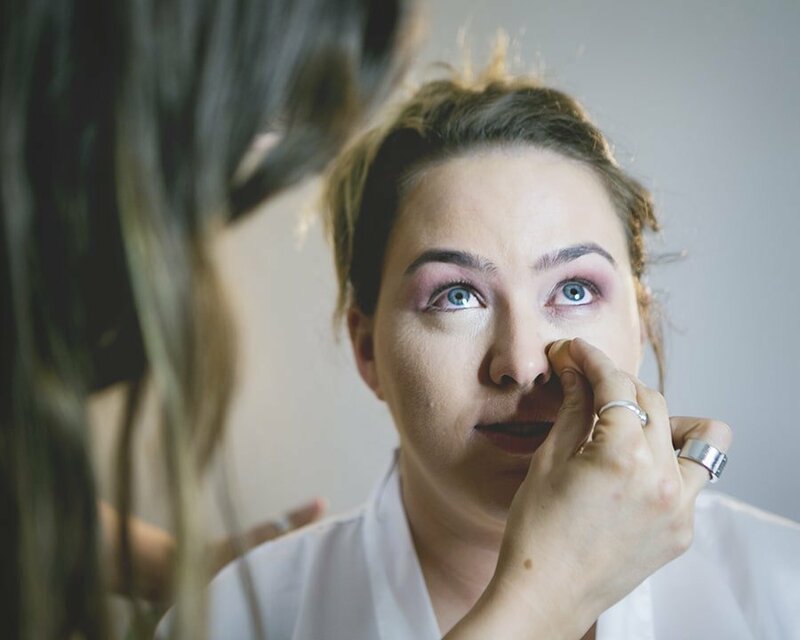 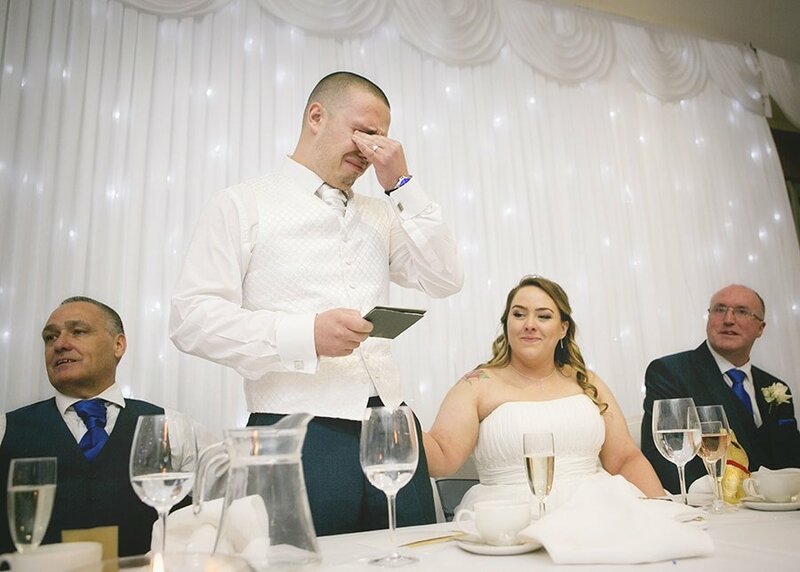 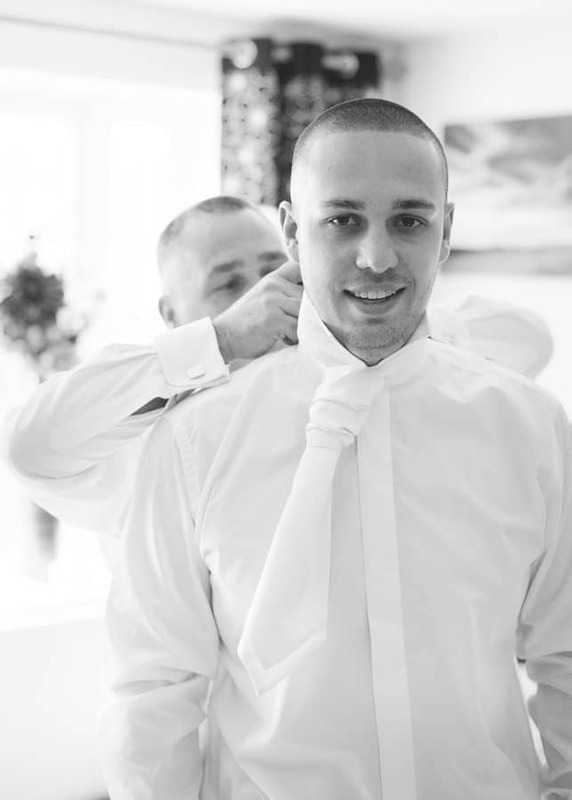 I created a bespoke package to include a second photographer for 4 hours, this covered Stephen getting ready, guests arrival at the venue and a second angle during the ceremony. 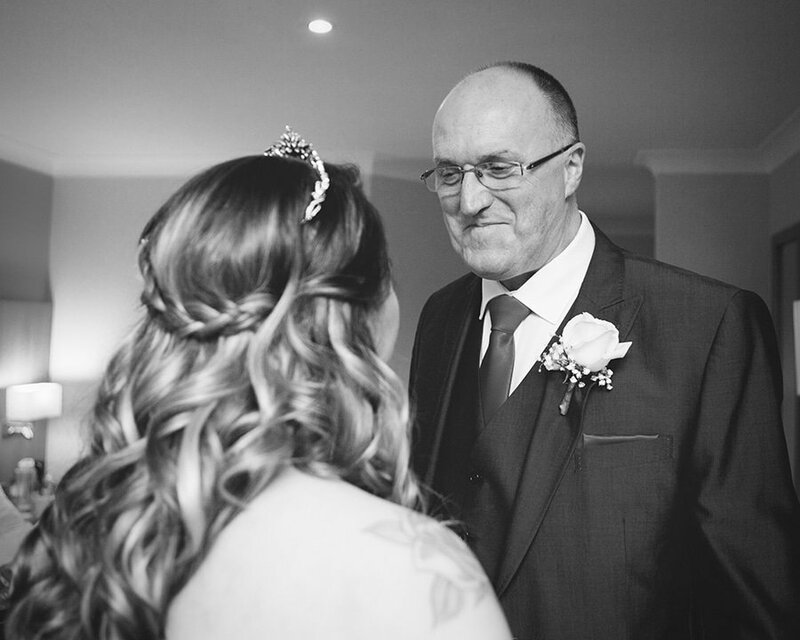 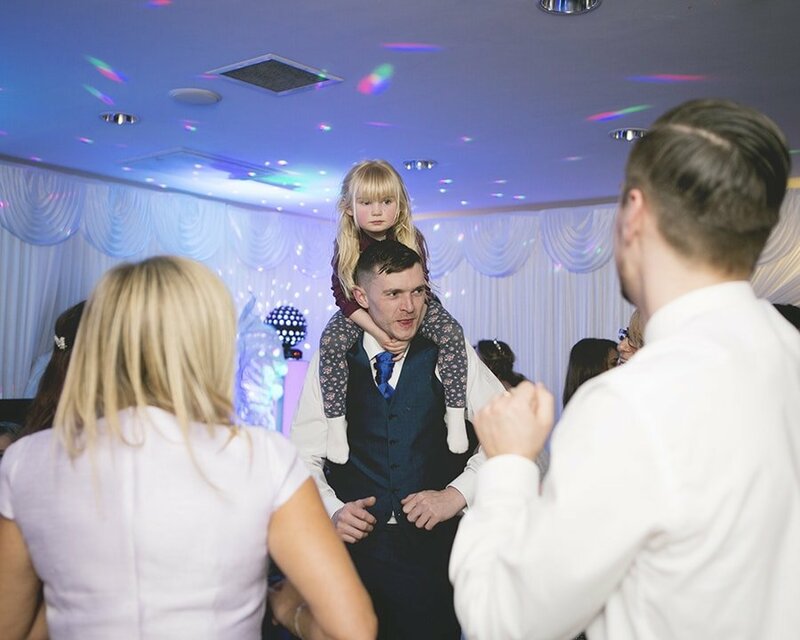 Thank you to the lovely Katie from Fringe Photography who worked with me on Vicky & Stephen’s wedding, always a pleasure. 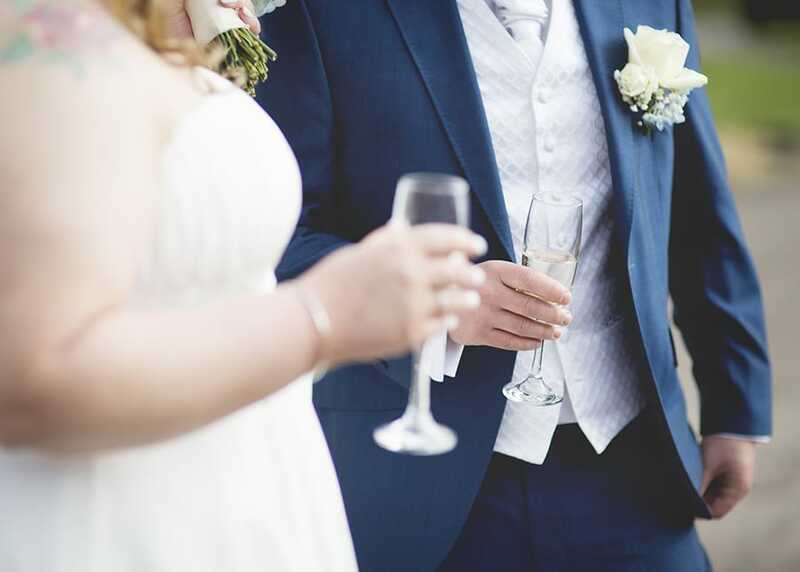 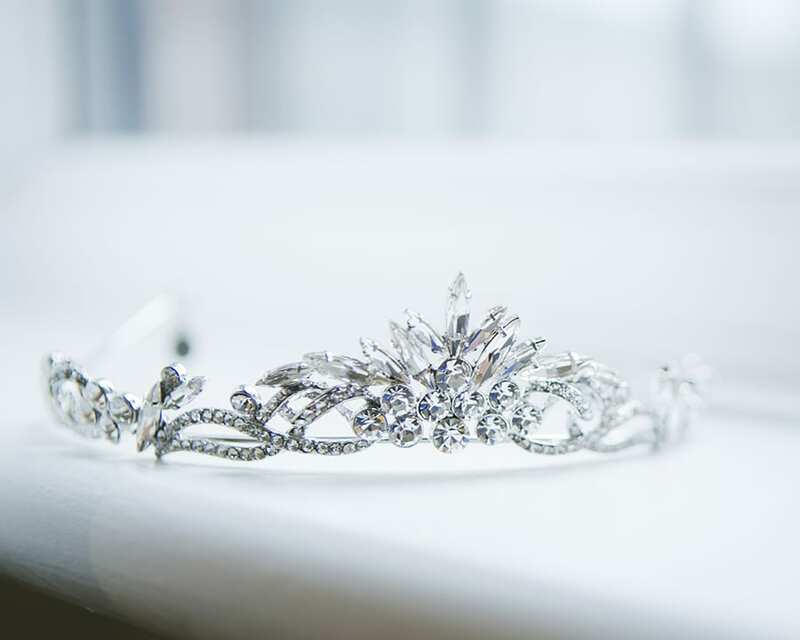 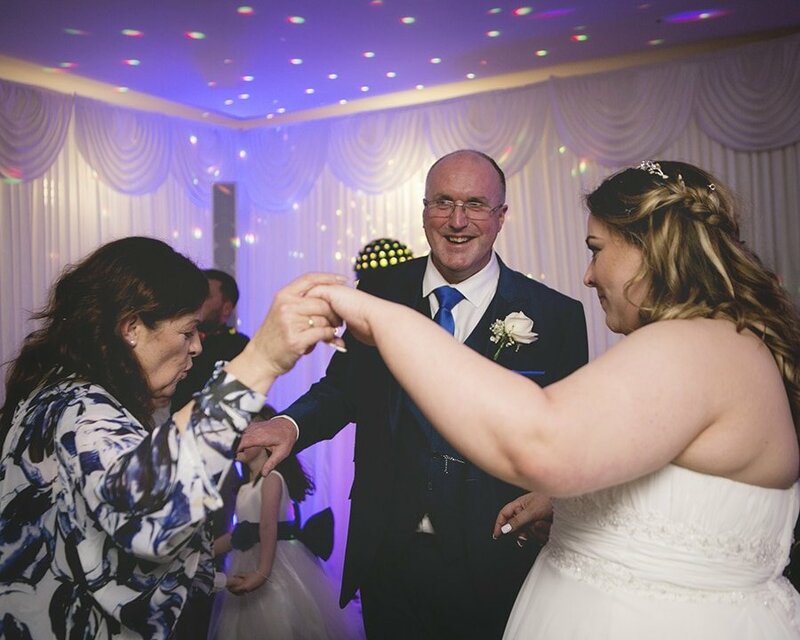 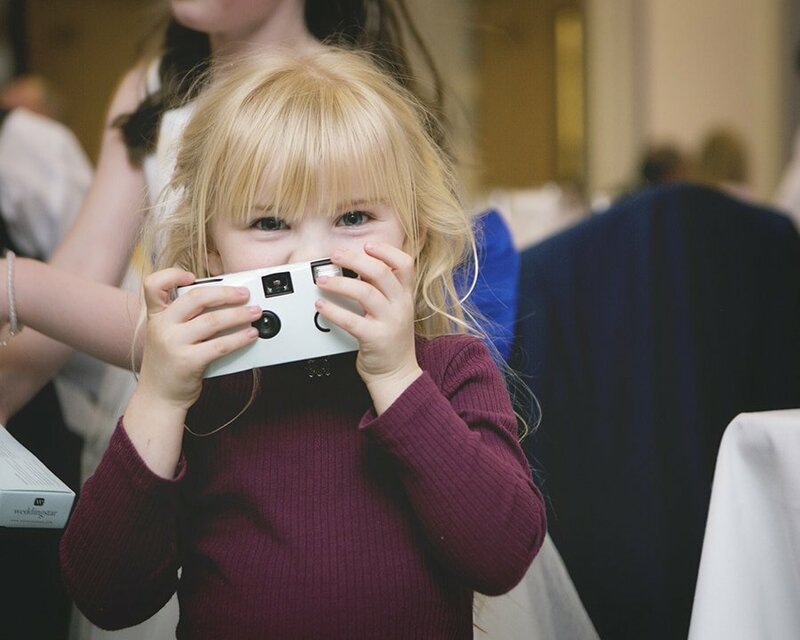 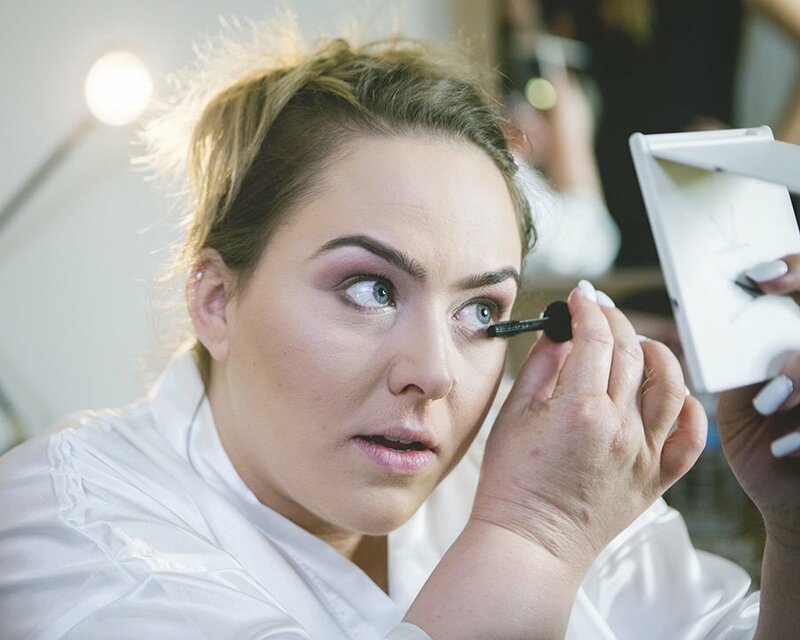 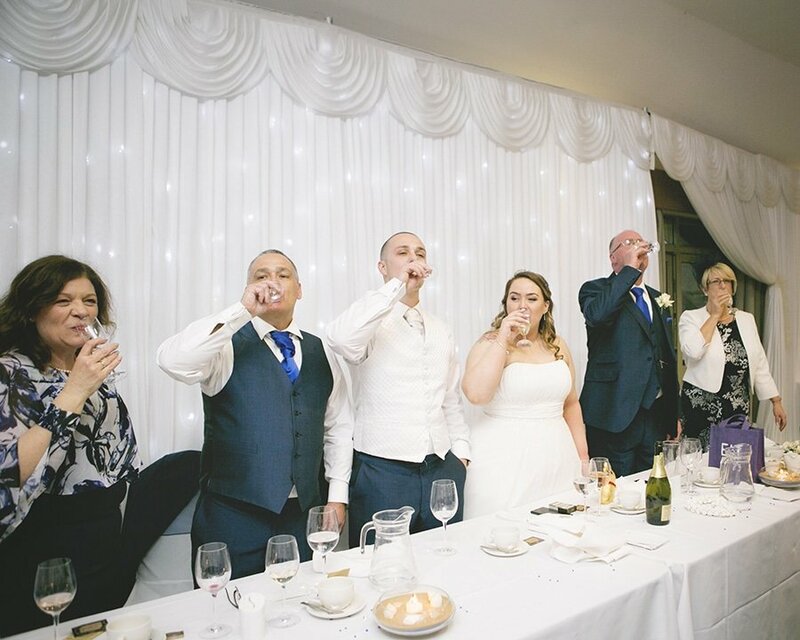 Although a second photographer is not included in my standard wedding photography packages it is an optional extra and can be added to a bespoke package too. 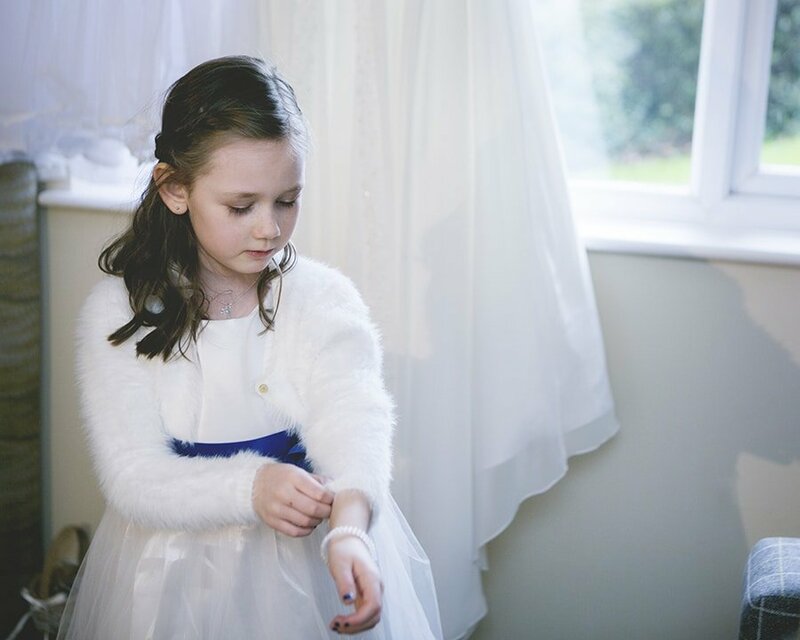 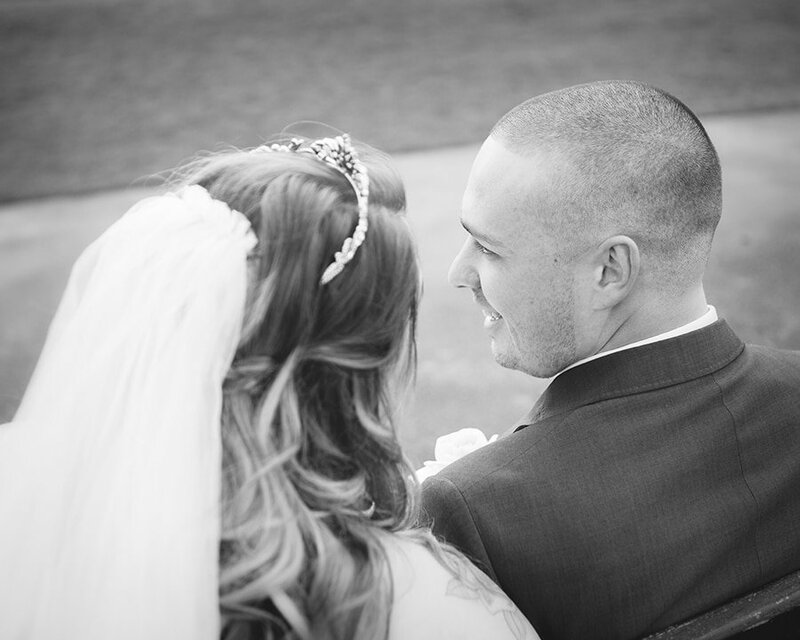 If you would like me to build a wedding photography package to suit your day please get in touch. 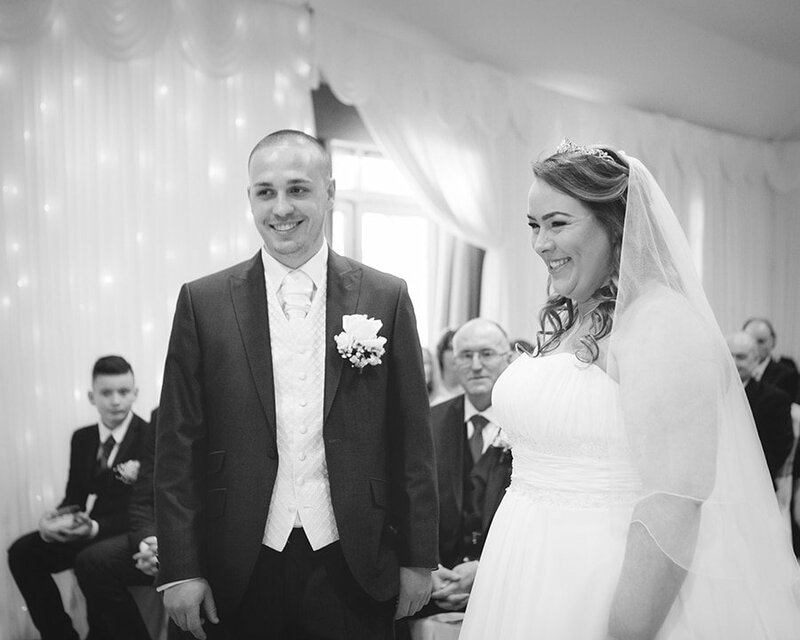 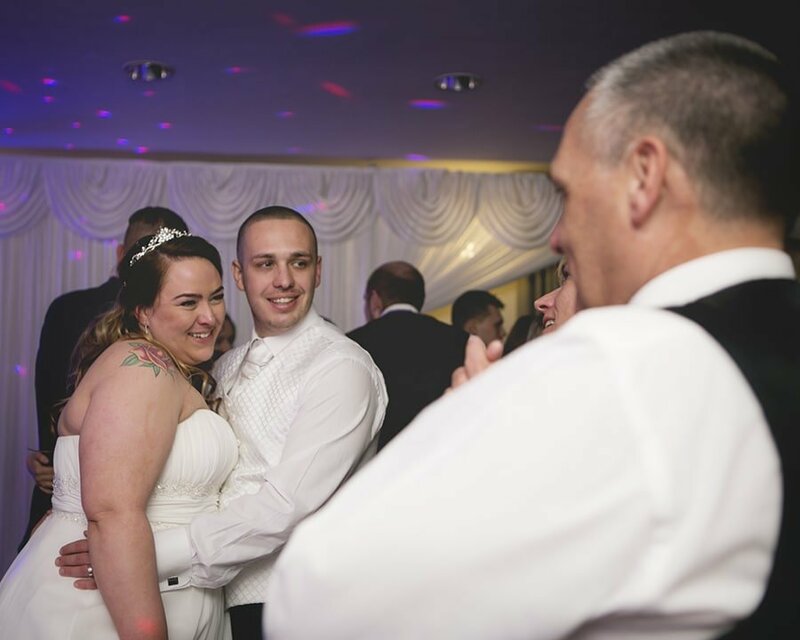 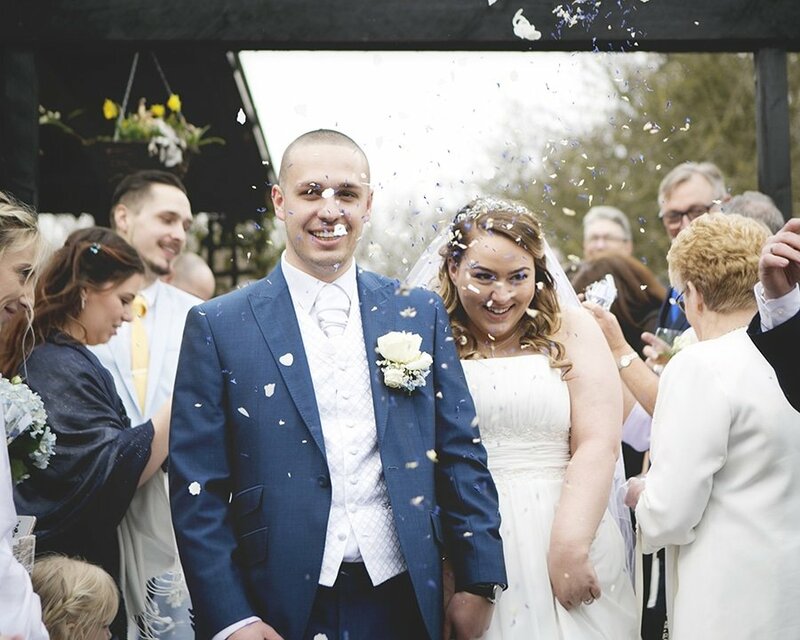 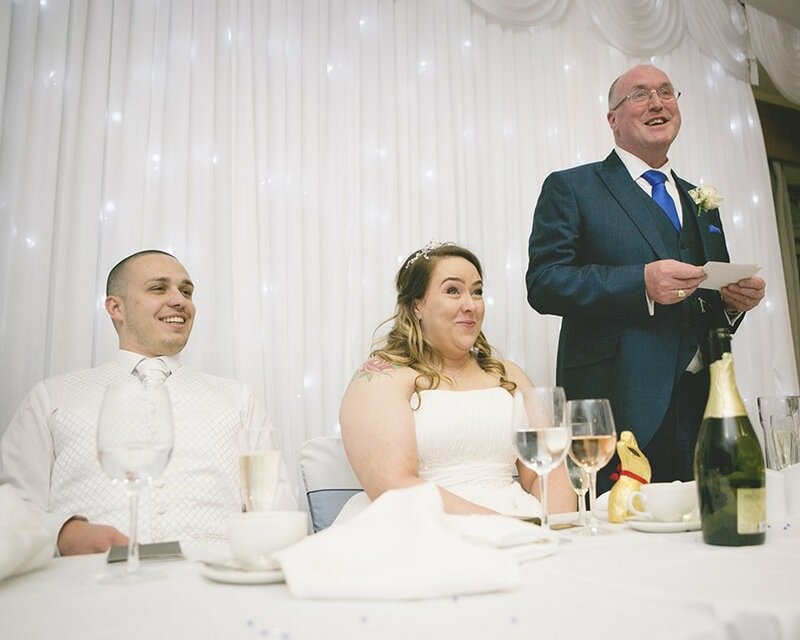 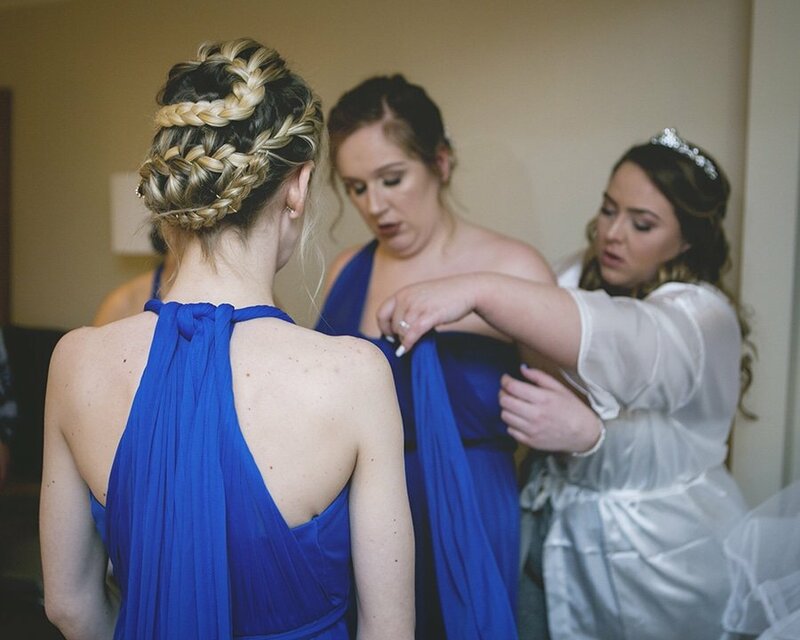 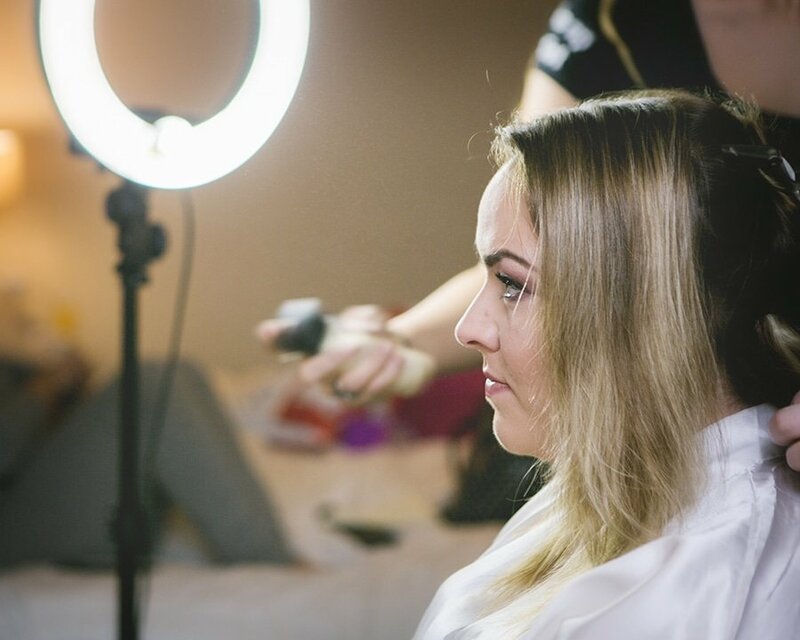 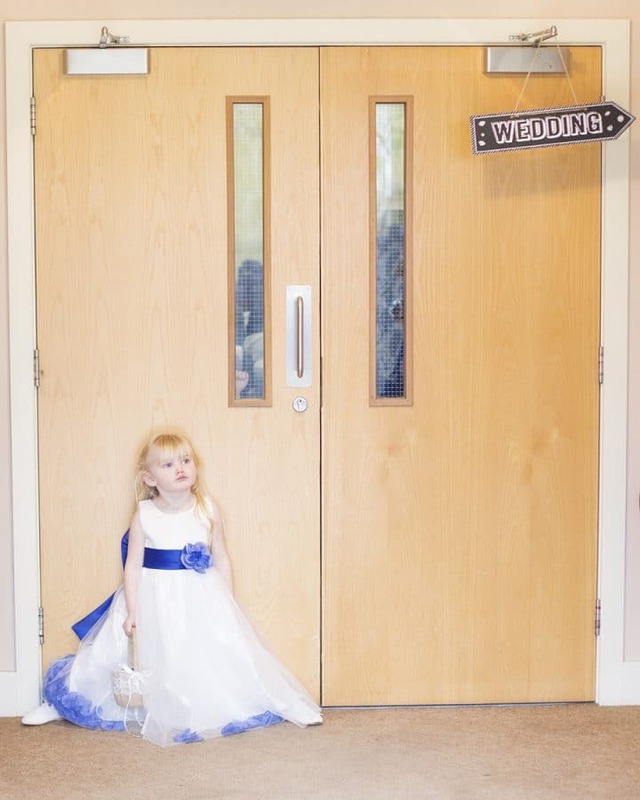 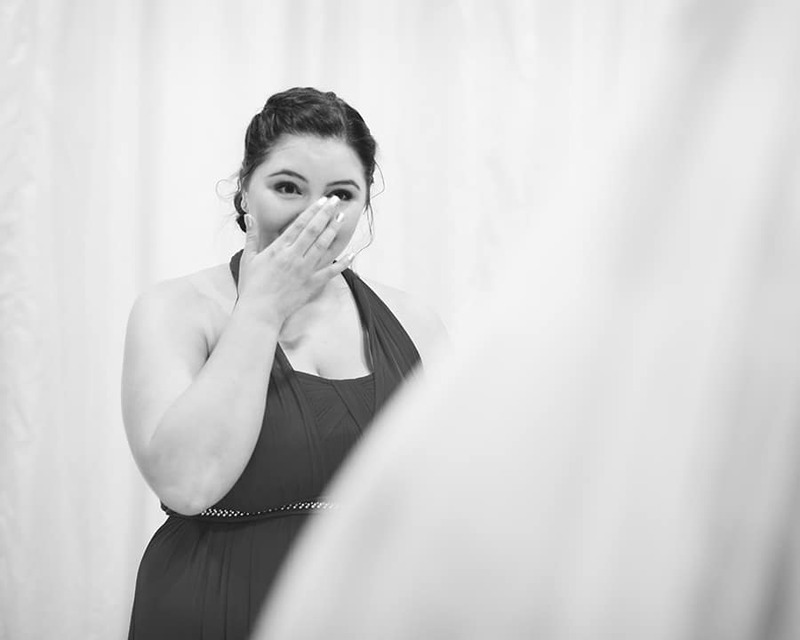 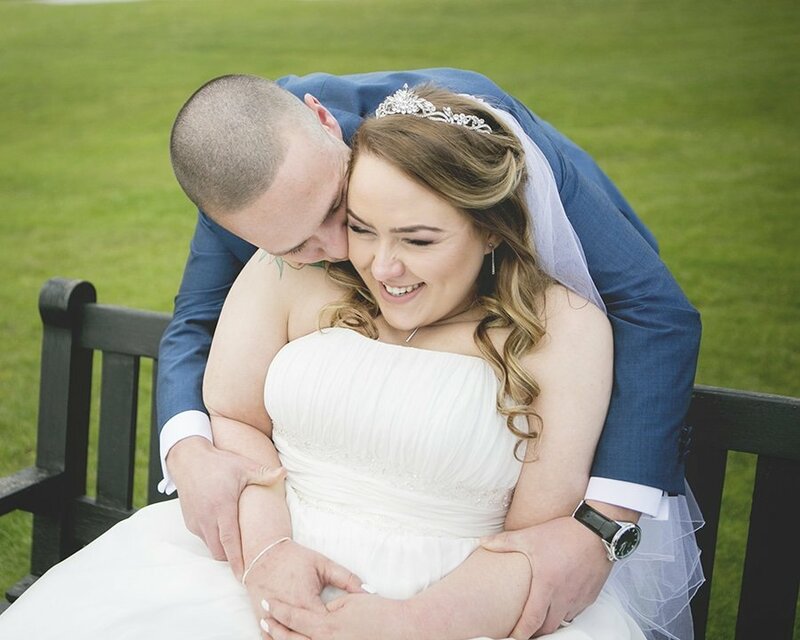 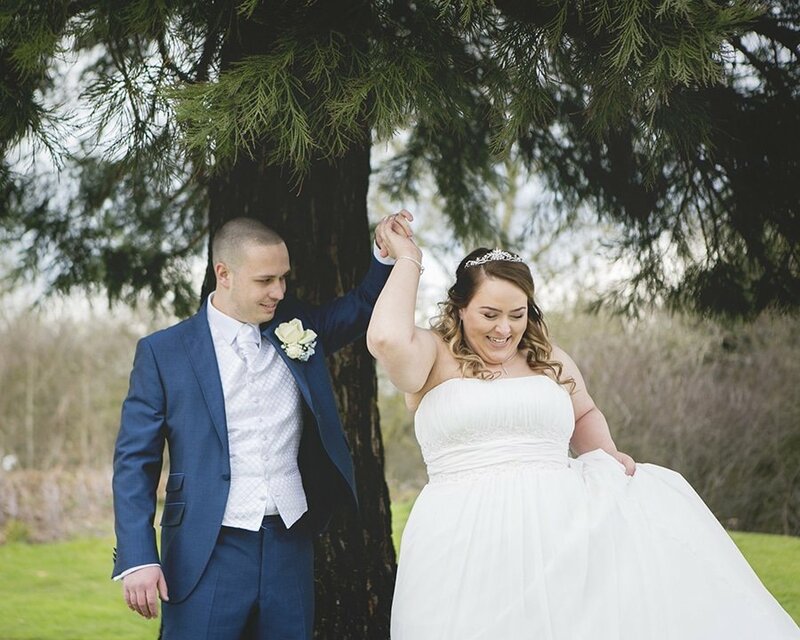 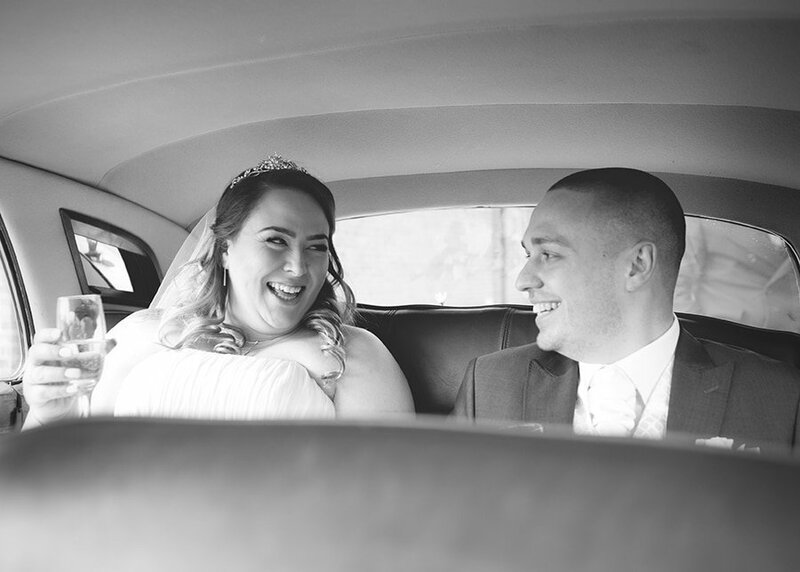 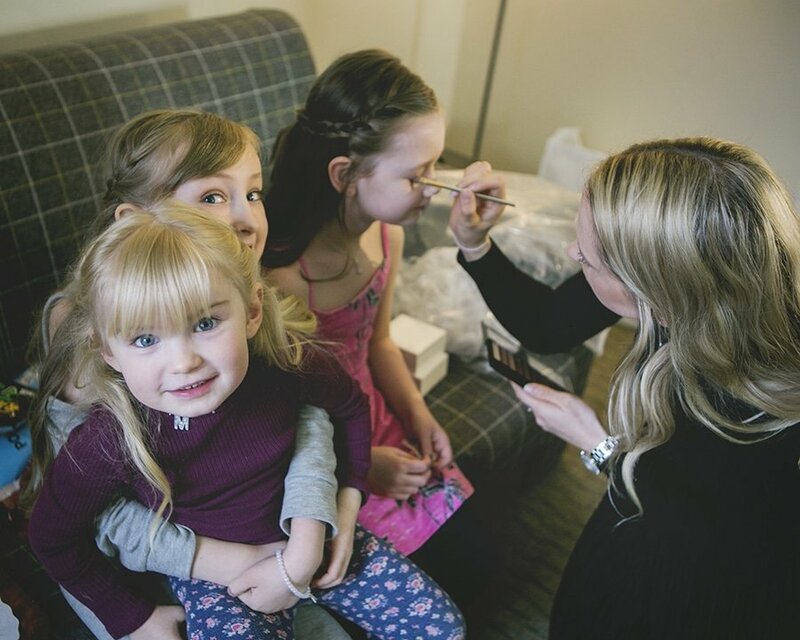 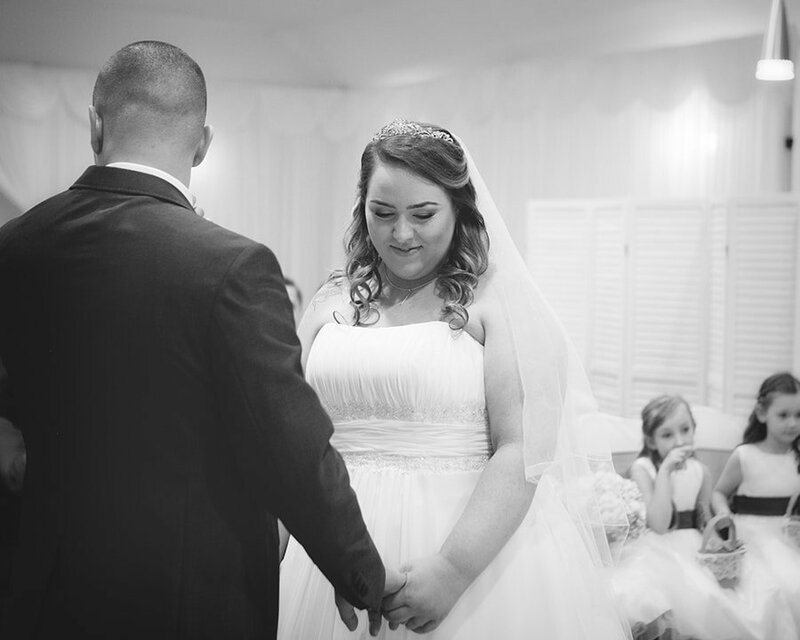 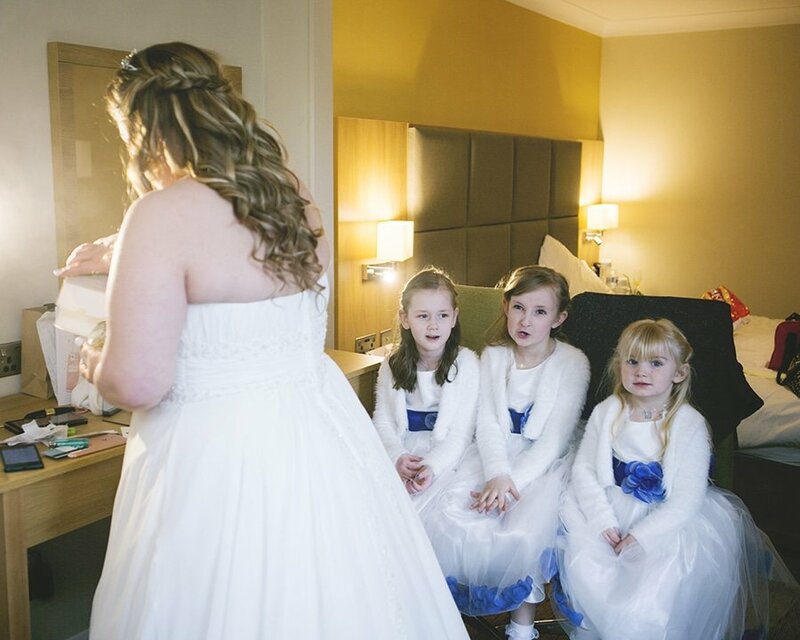 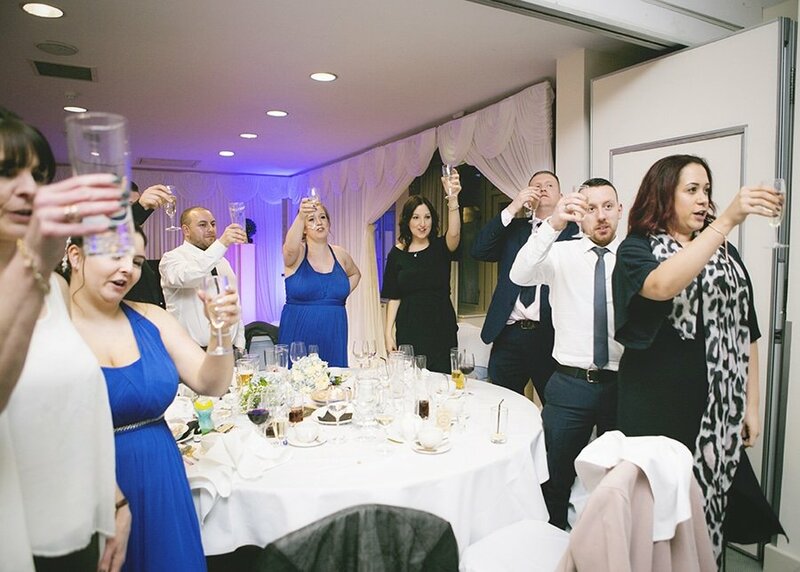 Vicky & Stephen worked so hard to create their perfect day and they did an amazing job!